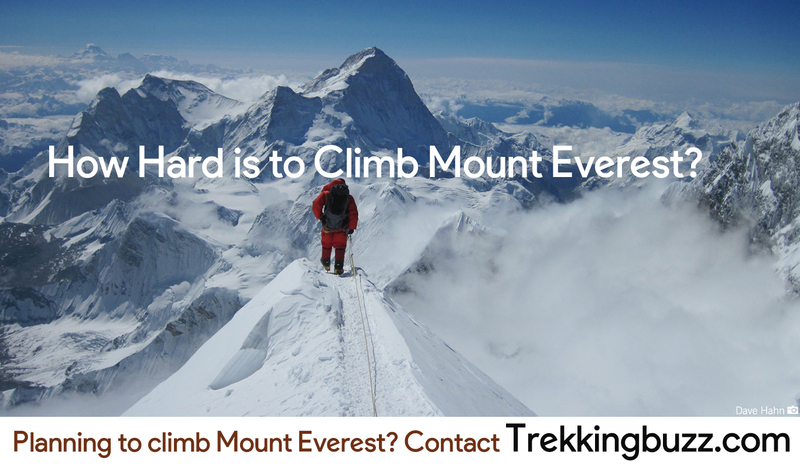 Home Mount Everest How Hard is to Climb Mount Everest? Being the highest mountain peak in the world, climbing to Mount Everest is hard. Without a mountain climbing training or regular exercise climbing is not possible. From the technical point of view, Mount Everest is hard to climb and a strong determination is required to conquer it. While climbing Mount Everest or other eight thousander peaks, most of the climbers face the following things that they need to be careful. There's no doubt, the oxygen level at the summit of Mount Everest is less than 45% so there is high risk of altitude sickness. To overcome this, climber need to have regular practise of ascending and descending from the camps. It is hard to rescue you from the summit so be careful about your health conditions. The temperature of Mount Everest is as colder as -36 degree celsius in January and the temperature drops by 0.65 degree celsius on every 100 meter height. Think yourself, how cold is it on Mount Everest summit? Weather is unpredictable at Mount Everest, any time there will could be change in weather so be careful of it. 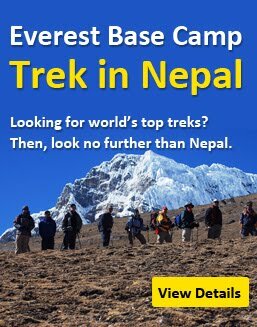 One of the peak reason of death on Everest is due to falls. High ridges and narrow path, most of the climbers not care on it but it is one of the cause for Everest deaths. The recent avalanche occurred due to the Gorkha Earthquake of 7.8 magnitude resulting on the killing of many trekkers, climbers and mountain guides. For an avalanche, there need not be Earthquake, it may happen at any time at anywhere in Mountain. So, train yourself about the risk management on the Mountain before going for climbing.